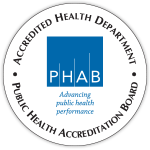 Public Health - Idaho North Central District (PH-INCD) is committed to healthy communities. We strive to provide the education and skills necessary to maintain a healthy lifestyle and reduce unnecessary illness and premature death. Public Health - Idaho North Central District (PH-INCD) facilitates population-based programs that focus on preventing illness and injury. These programs work to develop community partners, facilitate coalitions, disseminate educational materials, provide training, develop media campaigns and community assessment and evaluation. How does the Parents As Teachers program work? “Parents As Teachers” (PAT) is an evidence based national home visitation program designed for prenatal to three years of age, and is shown to improve readiness for school and improves a child’s success in school by optimizing early childhood development. This is accomplished by engaging your child in play activities that promote cognitive (brain) development at the different stages of development. For more information about this program and availability, give us a call at 208 799-3100 or visit our Parents As Teachers webpage here. How do you decide which infectious diseases to investigate? The State of Idaho produces the “Idaho Reportable Disease List” which specifically details what diseases are to be investigated by Public Health. The Staff Epidemiologists follow the Idaho “Investigative Guidelines for Reportable Diseases and Conditions” to investigate all of those diseases. The investigations conducted by our staff help to discover the source of the disease, and control the spread throughout our region. How do I get in touch with Smoking Cessation resources? Call the main office in Lewiston at (208) 799-3100 for more information about resources, or contact the Idaho CareLine by dialing 211 on your phone. You can also view the current list of resources on this website. Where can I find the closest Fit and Fall Proof Class? Please visit our Fit and Fall Proof Class webpage here. You can scroll down to view all locations. Do you provide diabetes support classes? Public Health currently offers the National Diabetes Prevention Program. This program is meant for people who are at risk of developing diabetes. For people who have diabetes, we can help link you with the nearest diabetes resource programs closest to you. Give us a call today to learn more (208) 799-3100 or visit our diabetes webpage here.